When you need to purchase or sell property in Brisbane or greater Queensland, or you want to have it transferred to another name, Wilson Law’s qualified conveyancing solicitors can help you take full control of the conveyancing process. We have been in business for many years, empowering thousands of clients in Queensland by ensuring the satisfactory completion of their conveyancing transactions while safeguarding their rights and interests at the same time. Because our team is made up of dedicated and qualified solicitors and not just conveyancers, we can provide a more efficient and comprehensive suite of legal services. You can expect our property law and conveyancing experts to diligently oversee your conveyancing requirements. Should anything unusual or unexpected arise during the transaction, we are well positioned to provide you with professional, independent legal advice. 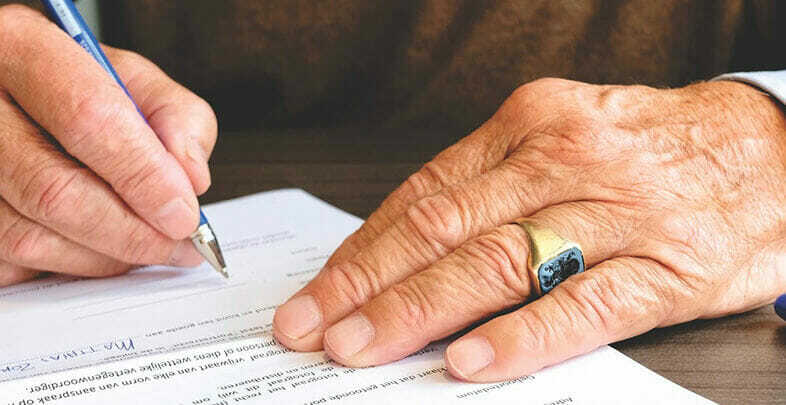 Contrary to what many people may think, conveyancing in Queensland can be complex, involving a huge amount of legwork, liaisons, negotiations, document preparation, and computations. This is why we aim to take our clients’ stress away by providing quality, personalised conveyancing services. At Wilson Law, we work closely with our clients to understand their priorities and required outcomes. We know for a fact that to acquire or sell property is a big decision for anyone, which is why you will not be treated as just another number in the queue. Wilson Law’s competitive, fixed-fee conveyancing rates for conducting the sale or purchase of properties is a definite plus for our clients. Unlike many other firms, we don’t charge for little extras such as scanning, photocopying, postage, and other essential office expenses. Buying or selling a property in Brisbane and greater Queensland is a very important decision that can have a significant impact on your finances and your overall lifestyle. As such, you need a reliable partner who can advise you on all legal matters concerning conveyancing, help you draw up the contract and other important documents, as well as manage all settlement procedures. Whether the property involved is a strata unit, an apartment unit, a townhouse, a retirement home, a holiday resort house, or a single-detached suburban residence, you can bank on Wilson Law’s customer-focused and detail-oriented conveyancing solicitors to help you complete the transaction in no time at all. Starting a new business venture in Brisbane or greater Queensland or making room for growth by moving into more spacious premises can be a challenging proposition. There are a multitude of issues and considerations which need to be addressed in all commercial property and business conveyancing transactions. This is why you should consult a Queensland conveyancing expert prior to entering into any contract. Whether you are buying or selling a commercial property or a business in Brisbane or greater Queensland, Wilson Law can help you. From the pre-contract to the post-contract stage, we will guide you through all steps of the commercial or business conveyancing process, giving you peace of mind in knowing that your transaction is in the care of experts. For more information regarding the residential, commercial, and business conveyancing services Wilson Law can provide, please email us at info@wilsonlaw.com.au or contact us at (07) 3350 5317. Get in touch with us today for an obligation-free quote from our team of experts.